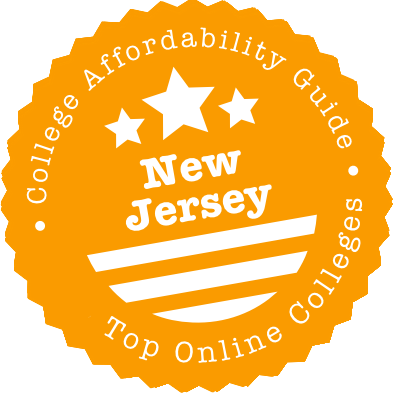 Scroll down to see the top not-for-profit colleges and universities in New Jersey offering online degree programs. Thomas Edison State University is a school created with the mission to serve adult learners. As part of its mission to help adults go back to school, the university grants credit for prior learning through portfolio assessment, credit by exam (at TESU, you can take a final exam without taking the course to show you know the material), and credit for various professional certifications. TESU also allows graduate students to gain credit for prior learning of graduate-level knowledge, a ess-common practice. Students can choose from about a dozen associate degrees, more than 30 bachelor's degrees, a dozen master's programs, and a Doctor of Nursing Practice - all delivered online. Undergrad and graduate certificate programs are also available online. Rutgers University offers four degree programs in a 100 percent online format. Master's degrees are available in social work and business administration. The university also offers an online bachelor's program in business administration and a degree completion program for Registered Nurses seeking a Bachelor of Science in Nursing. Rutgers also offers a variety of online programs providing professional development or continuing education. The online degree programs allow students to access classwork on their own schedule. Online classes are small and accommodate a lot of interaction between students and faculty. Students may enter either online business degree program in the fall or spring; the nursing and social work programs allow students to start in the fall, spring or summer semester. Rutgers provides enrollment and executive coaches to help online students through the admissions process and assist them in accessing campus resources. Students taking online courses pay the same cost per credit as they would for an in-person class plus an online course fee that covers technology costs and support services. Online education at Rowan University is offered through the Division of Global Learning & Partnerships. The following Bachelor of Arts (BA) degree completion programs are currently available: BA in Construction Management, BA in Law and Justice, BA in Liberal Studies, and BA in Psychology. An RN to BSN program is also offered online. The BA in Law and Justice program offers courses in four major areas: law enforcement and security services, court services, corrections, and human services. Students accepted to the RN to BSN program may be eligible for up to 30 transfer credits if they already completed an associate degree or a diploma program accredited by ACEN (Accreditation Commission for Education in Nursing). At the current time, there are more than 30 graduate-level programs available online in diverse fields that include business, education, media studies, theater arts, and finance. Many of the online courses are delivered in eight-week modules. Students accepted to the Doctor of Education (Ed. D.) program can choose from the following tracks: community college leadership initiative, higher education, nurse educator, P-12, and a general educational leadership track. Graduate certificate programs are available in areas such as autism spectrum disorders, special education, and English as a Second Language (ESL). Rowan College at Burlington County offers more than a dozen associate degrees in a totally online format. Three of these degrees are Associate in Applied Science degrees - in business management technology, health information technology, and cancer registry management - for students who plan to enter the workforce immediately. The rest are transfer programs in majors such as accounting, criminal justice, and education. The college has been offering distance education options since 1978, and its online programs have been honored by many organizations. For example, South Jersey Biz magazine gave Rowan's online programs its Best of Biz award two years in a row. Ocean County College has 14 online degree programs plus a dozen certificates. Most of the associate degrees are intended for students who want to complete two years of college before transferring to a four-year school. Transfer associate degrees are available in fields including computer science, global studies, and engineering. The college also has an Associate in Applied Science in Business for students who want an entry-level job without gaining a bachelor's degree. OCC has two kinds of certificates: the Certificate of Completion requires the least amount of time, while the Certificate of Proficiency requires at least 30 credits. Certificates are available in disciplines such as information technology, business, and Middle Eastern studies. Atlantic Cape Community College was the first community college in New Jersey to offer a fully online degree program, a move it made to meet the needs of Atlantic City casino employees who worked odd shifts and had trouble fitting classes into their work schedule. Today, the college offers both Associate in Applied Science degrees, designed for students who want to enter their career immediately, and Associate in Science and Associate in Arts degrees for students who want to transfer to a four-year college and earn a bachelor's degree. Applied degrees are available in topics including computers and hospitality management. Transfer degrees include education, business administration, and computer information systems. The Center for Online Education has ranked Fairleigh Dickinson University among the best online programs in New Jersey. FDU graduate degrees that can be completed entirely online include a master's in nursing education, electrical engineering, or digital marketing. The newest program is a Master of Science in Service Innovation and Leadership, designed for professionals in the service industry. Along with totally online programs, FDU has three low-residency programs, including a Master of Fine Arts in Creative Writing that requires two 10-day residencies each year, and a Master of Arts in Creative Writing and Literature for Educators, with a three-day residency. Adult learners can earn an Associate of Arts in Liberal Arts or a Bachelor of Arts in Individualized Studies. Stevens Institute of Technology has 17 master's programs that can be completed entirely online. These include five degrees from the School of Engineering and Science, seven from the School of Business, and five from the School of Systems and Enterprises. Stevens also has an extensive list of online Graduate Certificates from these three schools. Graduate certificates usually involve completing four classes, and the credits earned can be applied to a corresponding master's program. Online classes at Stevens are typically asynchronous, although many instructors include a live class element regularly or infrequently. Live sessions are always recorded and available for playback. Stevens was named one of the top 25 most innovative schools by U.S. News in its 2018 Best College listings. Seven of the most popular degrees Brookdale Community College grants can be completed entirely online. All the online degrees are Associate of Art programs, designed for students who want to complete their first two years of college before they transfer to a four-year institution to complete their bachelor's degree. Two of the degrees are in humanities, where students can major in English or the more general liberal education. The other options are in social sciences, such as sociology, history, or psychology. The curriculum for the associate degrees requires students to take mostly mandatory general education courses and to begin taking lower-level courses in the major subject so they are ready for advanced coursework when they transfer. Seton Hall University offers a variety of online degree programs. Most are at the graduate level and are in the fields of nursing, education, health, and human services. Some of Seton Hall's programs require students to attend a residency when all members of the cohort meet on campus for a long weekend. Residency requirements vary by program, and programs that do require residencies schedule two or three during the program. Nursing programs available online include a Master of Science in Nursing with tracks in adult/gerontological nurse practitioner, health systems administration, nursing case management/administration, or pediatric nurse practitioner. Seton Hall also has a post-master's certificate for nurse practitioners and a degree-completion program for RNs. The College of Education and Human Services offers master's degrees in counseling, education leadership, police graduate studies, and school counseling, as well as certificates for school supervisors and special education teachers. The School of Health and Medical Sciences offers an online program leading to a Master of Health Administration in Health Care Administration, and the College of Communication and the Arts is developing a Master of Arts in Strategic Communication and Leadership that will be offered online. Montclair State University Online offers two master's degree programs completely online: Child Advocacy and Policy (M.A. ) and Educational Leadership (M.A.). In addition, there are hundreds of online or hybrid courses offered throughout the year. The university uses Canvas as its online learning system to manage course instructions and facilitate student-teacher interaction and communication. New Jersey City University offers over 500 undergraduate and graduate courses online. Online undergraduate courses are offered in subjects like accounting, biology, business, criminal justice, computer science, early childhood education, economics, education, English, health, mathematics, marketing and psychology. Online graduate courses are offered in subjects like accounting, educational leadership, educational technology, finance, health and special education. An online graduate degree in educational technology is also available, as is an educational technology leadership doctorate degree that can be completed mostly online. NJCU delivers online courses using the Blackboard course management system. New Jersey Institute of Technology offers several graduate degree programs and graduate certificates that can be completed entirely online. Online master's degrees are available in business administration, business and information systems, civil engineering, computer science, electrical engineering, emergency management and business continuity, engineering management, information systems, management and professional and technical communication. Online graduate certificates are available in fields like business and computing, construction management, data mining, engineering leadership, information security, project management, social media essentials, technical communication essentials and web systems development. Professional development training classes are also offered online in subjects like android app development, database design and open source Unix certification. The School of Education at Monmouth University offers two fully online special education programs: a Master of Science in Education (MSE) - Special Education degree and a Graduate Certificate in Autism. Although the MSE program offers four tracks, only the Teacher of Students with Autism track is offered 100 percent online. There are two fully online degrees available from the Wayne D. McMurray School of Humanities and Social Sciences - an MS in Homeland Security (33 credits) and a Graduate Certificate in Homeland Security (12 credits). A third degree - Master of Arts in Public Policy - is available from the school in a hybrid format. The Master of Science in Nursing is fully online program that offers a specialization in nursing education. The Doctor of Nursing Practice (DNP) degree is also available online, but with on-campus components. These programs are offered through the university's Marjorie K. Unterberg School of Nursing and Health Studies. Fully online graduate certificates are available in the following areas: applied behavior analysis, autism, school nursing, and homeland security. A graduate endorsement in early childhood education (P-3) and a post-master's endorsement in school counseling services (directorship) round off the university's fully online programs at the current time. The Master of Science in Nursing (MSN) degree available online from Felician University offers a track in adult-gerontology that is comprised of 43 credits and includes 600 clinical hours. There is also a family nurse practitioner track that requires the completion of 46 credits and 780 clinical hours. Although a majority of the required courses for both tracks is made available online, some courses do have on-campus components. The MSN degree can be earned in as little as two years. Students who complete the program are eligible to sit for national certification from the ANCC (American Nurses' Credentialing Center), AANP (American Academy of Nurse Practitioner), and the State Board of Nursing licensure. A post-master's certificate is also available online. The Institute for Religious Studies and Education Ministry at Felician University offers one online undergraduate degree completion program, the Bachelor of Arts in Social & Behavioral Sciences with a focus in religious studies. Applicants to this 36-credit program must have an associate degree, or 60 credits from an accredited college or program. In addition, the institute offers the following degree programs in religious education: Master of Arts, post-master's certificate, and a graduate certificate. A four-week program in religious studies is also available online. The College of Saint Elizabeth has an online program leading to a Master of Science in Nutrition. The 30-credit curriculum allows students to select a concentration in community nutrition and wellness or in entrepreneurial nutrition practice, or they may seek a certificate in sports nutrition and wellness. All core classes and some electives are offered online, and it is possible to earn the degree 100 percent online. However, some of the classes required for the certificate in sports nutrition are only offered in a traditional on-campus classroom. Applicants must have an undergraduate degree in nutrition, dietetics or food, or they will be required to take prerequisite undergraduate courses first. The college looks for applicants who have an undergraduate GPA of 3.0 or higher, although promising students with a lower GPA may be admitted on a provisional basis. Applicants who hold the Registered Dietitian/Nutritionist certification may be eligible for up to nine credit hours when they enroll in this program. New Jersey hosts a healthy mix of community colleges, public four-year universities and private institutions, many with first-rate online degree programs. Great! So now what? Where are the most affordable options? How do you ensure you enroll in a quality program? Read this guide for our answers. With the exception of Ramapo College and The College of New Jersey, each of the Garden State’s four-year public institutions runs online degree programs. Usually, if you reside in a state with plenty of distance learning options, you can go to a public school to save money. Not so with New Jersey, whose public colleges charge the fourth-highest tuition in the United States. When you consider that private college endowments allow them to whittle down their sticker prices, it makes sense to expand your search to all New Jersey schools. There is one simple way to make your four-year degree cheaper: Spend the first two years of it studying online at a community college. The New Jersey Distance Education Affinity Group (NJDEAG) maintains a handy list of the state’s community colleges with online degrees. (You can cross-reference this with the list of all programs — traditional and distance — from the New Jersey Council of County Colleges). If you choose this route, use the NJ Transfer website. By going to the “transfer programs” section, you can see what coursework you should take from a community college to seamlessly transfer to a major at one of New Jersey’s 25 participating four-year colleges. Enter where you’re transferring from, where you’re transferring to, and what your intended major is. The site will show you active courses being offered at the community college you want to attend (although not necessarily online ones). New Jersey Virtual School makes Advanced Placement (AP) and credit recovery courses available to New Jersey high schoolers on a course-by-course basis, but they’re not free. Still, if you’re at a secondary school with limited AP options and you’re confident in your ability to ace the exam, the tuition represents a decent investment. That’s because a good score on the AP exam almost always leads to college credit — and credits don’t get any cheaper once you’re out of high school. New Jersey’s schools run a lot of Graduate Business programs, probably because new graduates are always needed to fill jobs in nearby New York City. Several are pretty good, according to U.S. News & World Report rankings of the Best Online Graduate Business Programs (Excluding MBA). Pay particular attention Rutgers and the Stevens Institute of Technology. Despite the state’s generally higher rates of tuition, a couple of New Jersey schools managed to meet our affordability criteria for quality, flexibility, price, and use of financial aid money. (See the CAG score next to their profile in our ranking). For more stats on school graduation rates, student debt loads and earning potential, look to College Scorecard. Rutgers’ three campuses — New Brunswick, Newark and Camden — pretty much act as one when delivering distance education programs. You can find those programs in a couple of spots: Rutgers Online, which provides links to current programs from multiple schools and departments, or via the Division of Continuing Studies, which lists all programs, regardless of whether they’re currently being offered. We’ll recommend starting with the latter, as it’s got more information. It can take you to a schedule of individual classes, including summer and winter sessions that can get a degree in your hands quicker. That same site will link you to tuition details, where you’ll discover that nonresidents who study online pay the same price as their New Jersey peers. Last, if you’re in the market for professional development, you can sign up for noncredit courses. Online at Rowan Global is the place to go for the full scoop on Rowan’s online programs (there are a lot)! Tuition rates are the same for residents and non-residents. High school juniors and seniors can also take Rowan University online courses for dual credit. If you’re a prospective graduate student, we recommend a good look at the engineering & criminal justice options—two subjects that do well in U.S. News & World Report rankings for Rowan’s online programs. Are you a teacher? Be sure to check out Rowan’s New Jersey Teacher Outreach Program (NJTOP), which aims to make online graduate education programs accessible to teachers affiliated with New Jersey school districts. Most courses are only eight weeks long, there’s a tuition discount on all courses, and you don’t have to pay an application fee! The Middle States Commission on Higher Education (MSCHE) is the regional accreditor for New Jersey. Going to a MSCHE-accredited college means you can qualify for financial aid and, typically, transfer credits to other schools. The Commission’s Institution Directory lists all schools with MSCHE accreditation. MSCHE informs the public every time it penalizes a school. A warning indicates that, “although the institution is out of compliance, the institution has the capacity both to make appropriate improvements within a reasonable period and to sustain itself in the long term.” If the school fails to do so, MSCHE may place it on probation. The most serious action, a show cause, “is a non-compliance action requiring an institution to demonstrate why its accreditation should not be withdrawn.” View the Non-Compliance Public Disclosure Statements page to see if your school is mentioned. Fingers crossed that it isn’t. If your school is unaccredited, nationally accredited or a branch of a chain holding accreditation elsewhere, it won’t be listed in the MSCHE’s Institution Directory. To check that it is accredited by someone, hop over to the Council for Higher Education Accreditation (CHEA) database. CHEA lists all schools with government-recognized accreditation, whether from a regional or national body. DeVry University-New Jersey is just one cog in a for-profit chain with an online branch and campuses across the country. Although its schools are accredited by the Higher Learning Commission, a regional accreditor similar to Middle States, DeVry agreed to pay $100 million to settle a Federal Trade Commission lawsuit over using false graduation and employment statistics in its marketing materials. Middle States placed Essex County College, a two-year community college that offers online courses, on warning in 2016 for insufficient evidence that expenditures are under control, leadership is regularly assessed, and enrollment is properly managed. The college remains accredited while on warning. Read the full statement at the MSCHE website. Middle States Commission on Higher Education (MSCHE): See which schools are accredited and which have received negative sanctions from New Jersey’s regional accreditor. New Jersey Distance Education Affinity Group (NJDEAG): NJDEAG is a useful gateway to distance learning options at the Garden State’s community colleges. The site will take you directly to your chosen school’s degrees or courses, so you can bypass all the other noise on their websites. New Jersey Virtual School: Find and pay for individual high school classes offered in a distance format, including Advanced Placement and credit recovery courses.